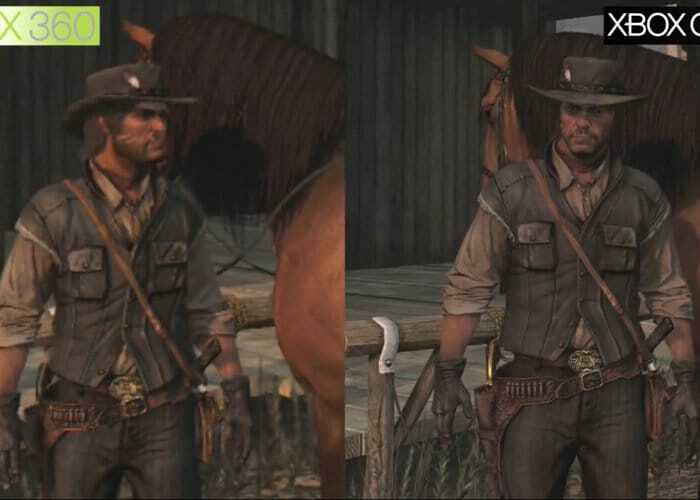 Rockstar Games has this week released a new Xbox One X enhancement update for their previously released Xbox 360 game Red Dead Redemption, providing a massive graphical boost for Xbox One X gamers to enjoy. Check out the comparison video below which compares the Xbox One X vs the Xbox 360 providing a good indication of what you can expect once you’ve installed the new enhancement patch. Red Dead RedemptionWas originally launched by Rockstar for the Xbox 360 and PlayStation 3, eight years ago way back in 2010 and pushed the Xbox 360 to its limits. The older Xbox 360 was able to render the game at 720p resolutions but unfortunately the PlayStation 3 was a little lower at 640p. The latest enhancement patch addresses the issues with review distances and aliasing as well as adding 4K support, which dramatically sharpens up the presentation of the game. To re-cap Those that are not played Red Dead Redemption and in our thinking of picking up a holster, the game offers a western-themed action-adventure played from a third-person perspective in an open world environment, allowing the player to interact with the game world at their leisure. The player can travel the virtual world, a fictionalized version of the Western United States and Mexico, primarily by horseback and on foot. Gunfights emphasize a gunslinger gameplay mechanic called “Dead Eye” that allows players to mark multiple shooting targets on enemies in slow motion.